A teenager’s murder raises issues of bullying and homophobia. In 2008, 14-year-old Brandon McInerney shot and killed his classmate Larry King in their junior high school English class. Psychologist Corbett (Psychoanalysis and Psychotherapy/New York Univ. ; Boyhoods: Rethinking Masculinities, 2009), unsettled by the crime, decided to mount his own investigation into its causes and consequences. “What was on Brandon’s mind?” he asked. “What were the feelings that compelled him, or the fantasies that drove him, to shoot Larry? What had been the state of his life? 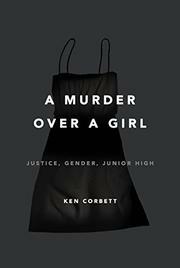 How had it come to this?” (The author refers to the victim as Larry while covering the trial and as Leticia when “writing from her perspective.”) Corbett recounts the trial so exhaustively that the narrative often reads like a court transcript. He reports interviews with McInerney’s and King’s parents, friends, and some of the 98 witnesses for the defense and prosecution. He also effectively reveals how deeply the trial affected him. The story of a murder, he reflects, “is not simply a recitation of facts or a pragmatic account of the living and the dead.” This murder was tangled in accusations of bullying, white supremacy, and hate. Brandon’s lawyers portrayed their client as an abused child (both parents were drug addicts) who had been taunted by Larry, an effeminate boy who was undergoing a gender transition. The prosecution argued that Brandon was a gang member “enflamed by white supremacist ideology” and “a self-declared vigilante homophobe” who “hunted and executed a gender-variant kid.” After a 36-day trial, the jury considered three possible verdicts: first-degree murder, second-degree murder, or voluntary manslaughter. But they could not agree, ending in a hung jury, with several jurors protesting vigorously because Brandon had been tried as an adult. Corbett deems the crime murder, and he was troubled when a juror who concurred told him that the hate crime charge of homophobia had been barely discussed. In the end, Brandon pled guilty to second-degree murder and voluntary manslaughter, sentenced to 21 years in prison. An emotionally resonant account of a real-life tragedy.